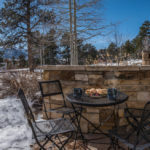 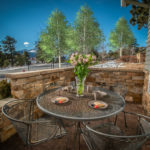 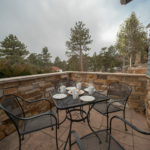 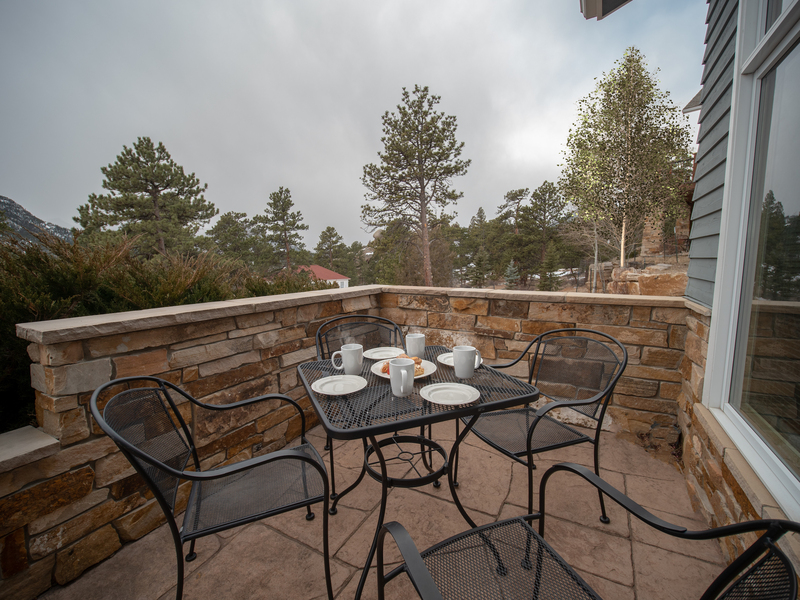 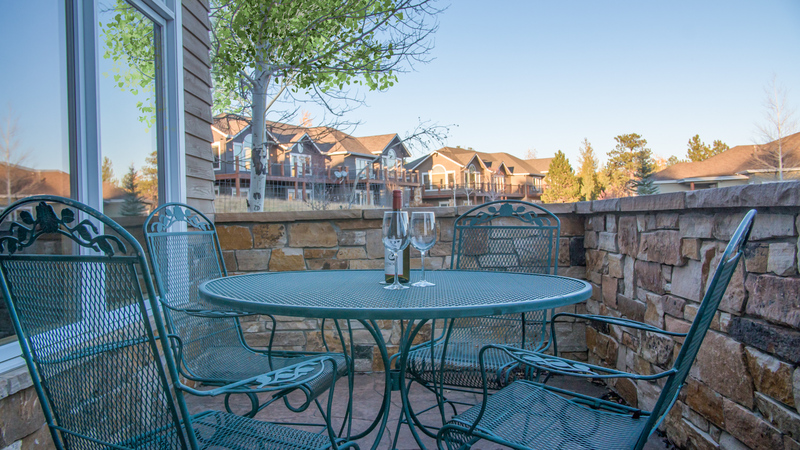 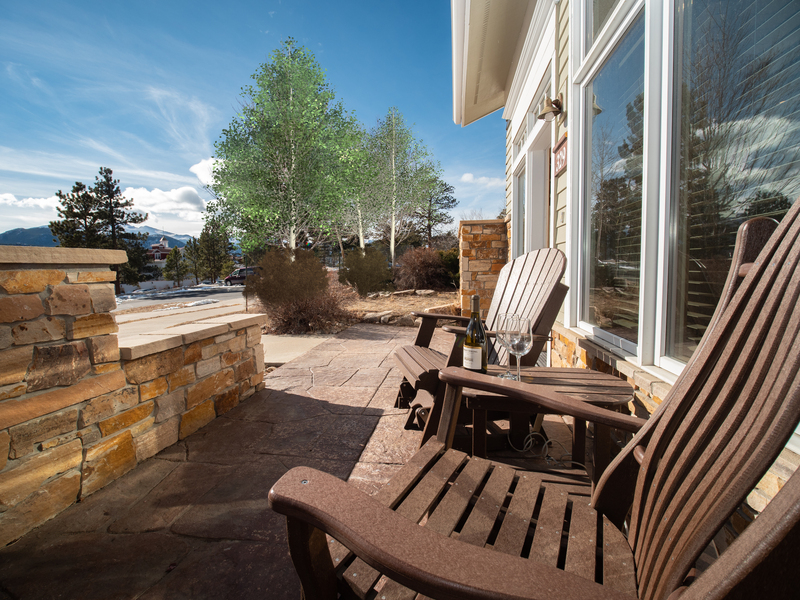 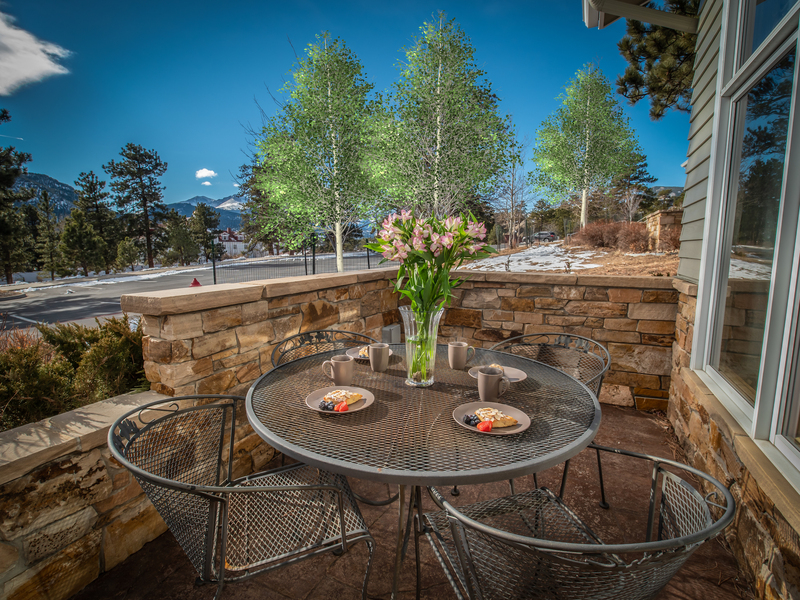 Enjoy spectacular mountain views and privacy in a deluxe, upscale one-bedroom residence located on the grounds of the Historic Stanley Hotel. 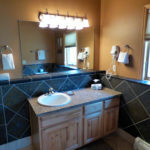 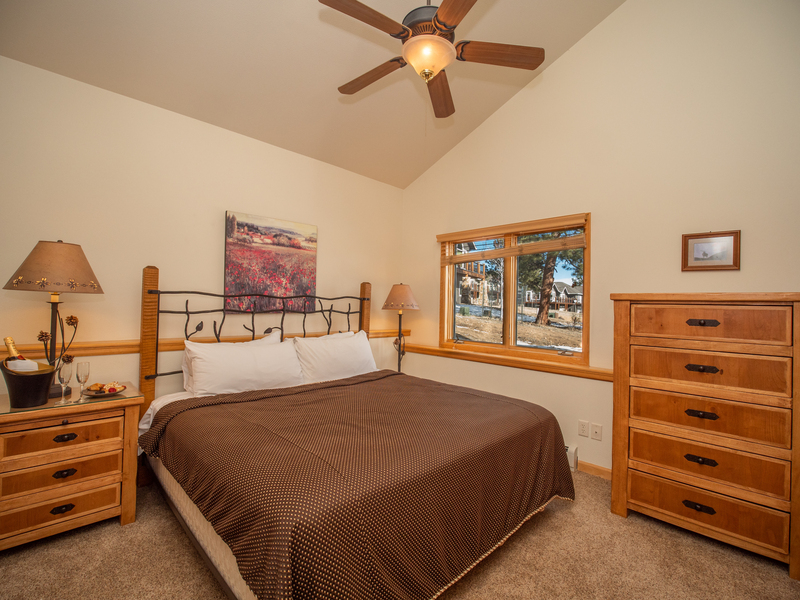 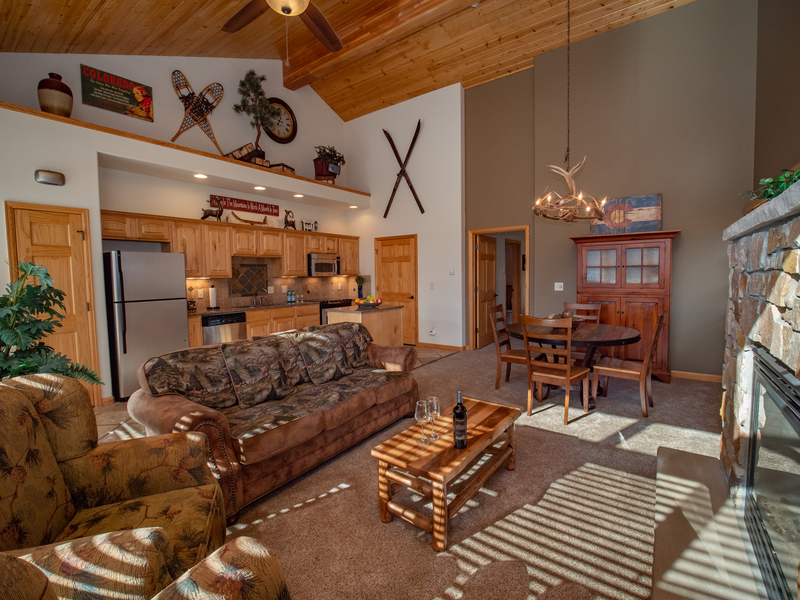 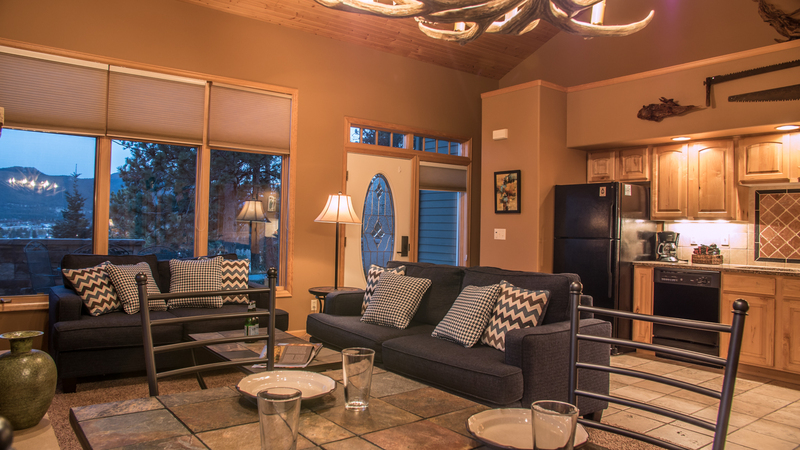 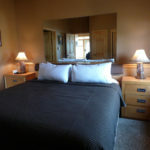 Units are fully equipped with a queen or king bedroom, full kitchen, and a living room with pullout sofa. 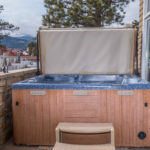 This contemporary, cozy end unit provides guests with a suite of high-end amenities including a private outdoor hot tub, steam shower, beautiful furniture and décor, hardwood floors, and a fully-renovated kitchen and bathroom. 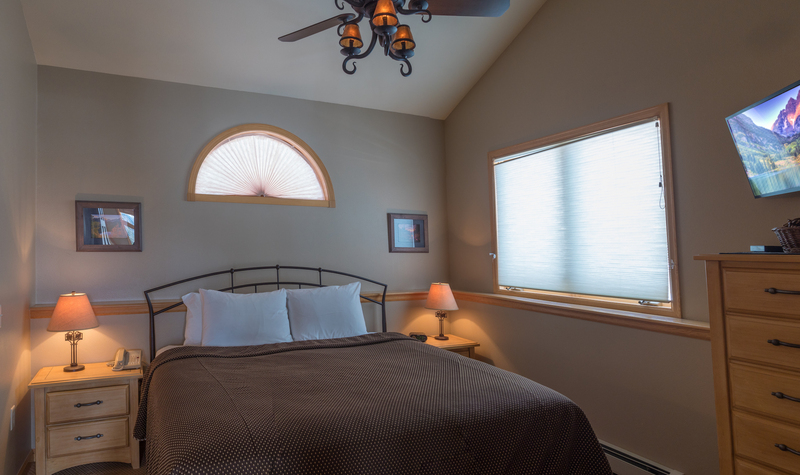 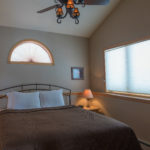 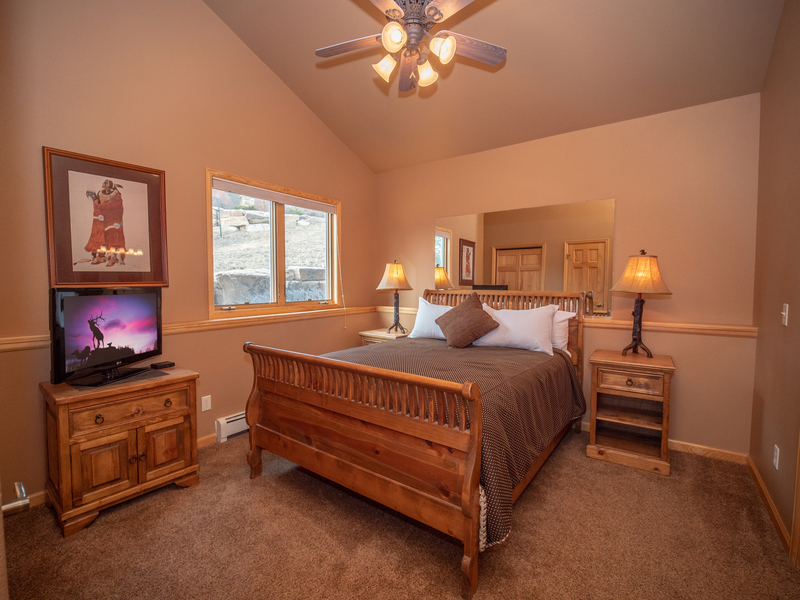 To ensure the comfort of guests year-round, this unit also features brand new air conditioning and a state-of-the-art, eco-efficient heating system. 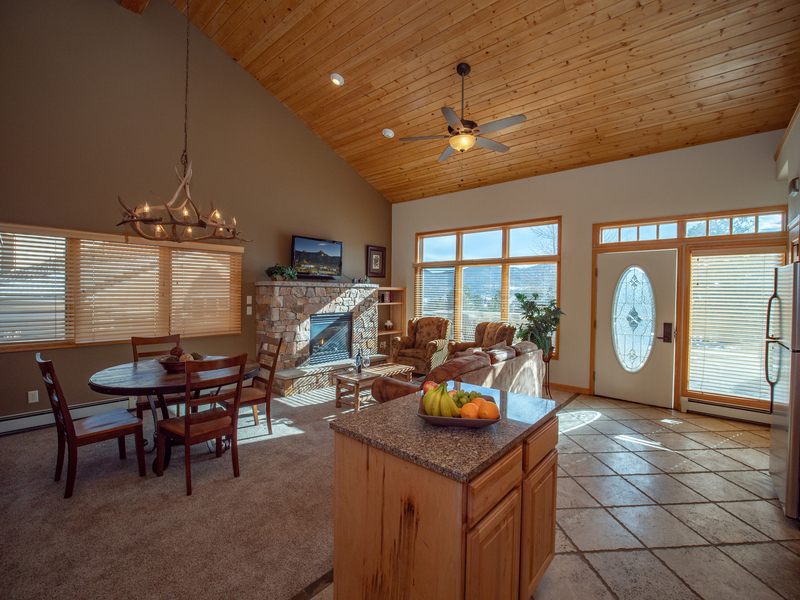 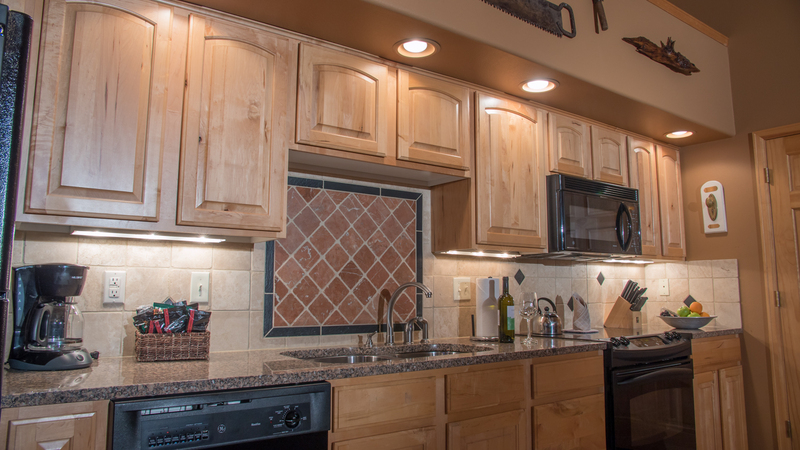 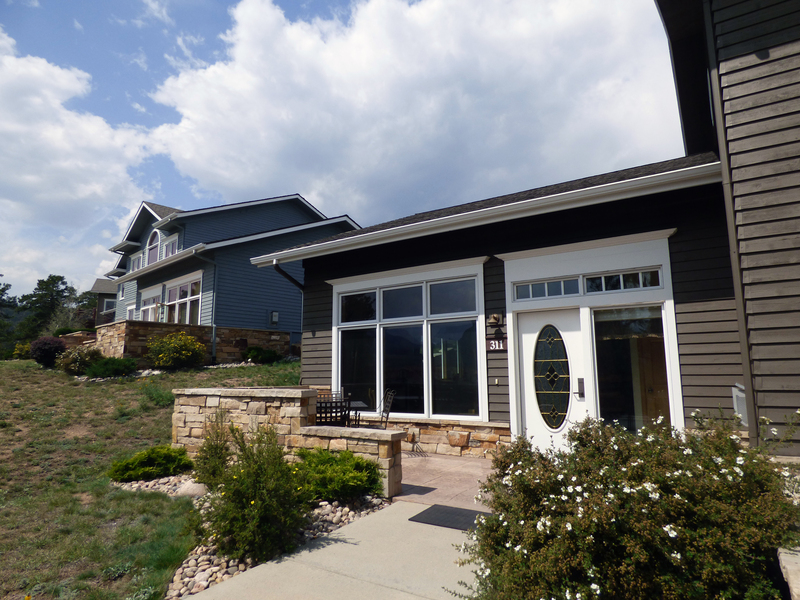 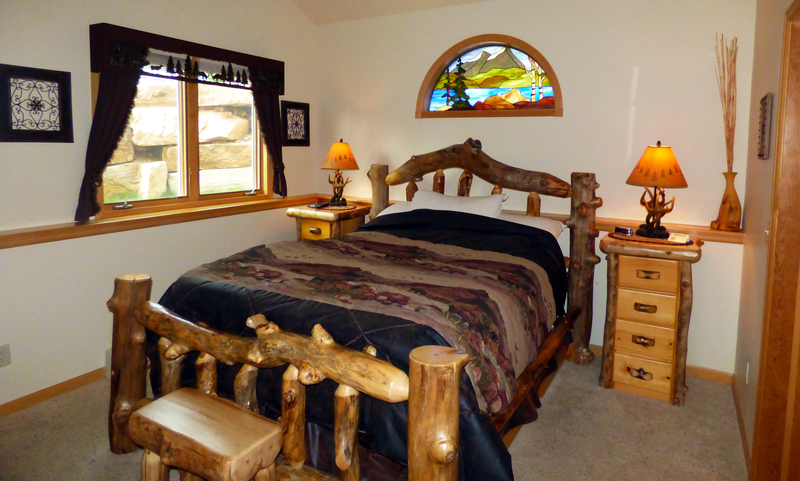 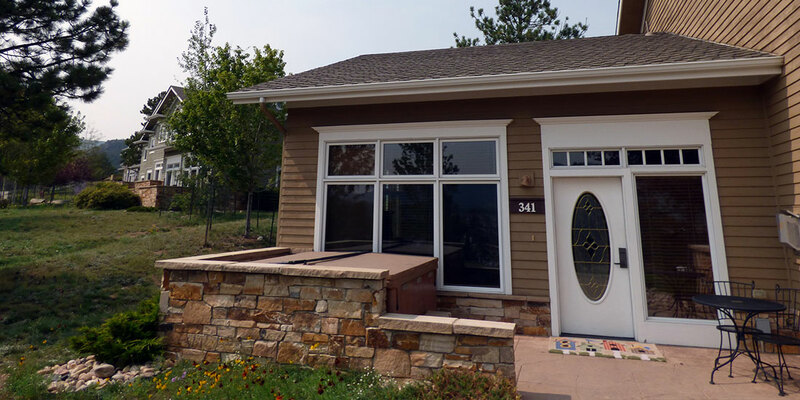 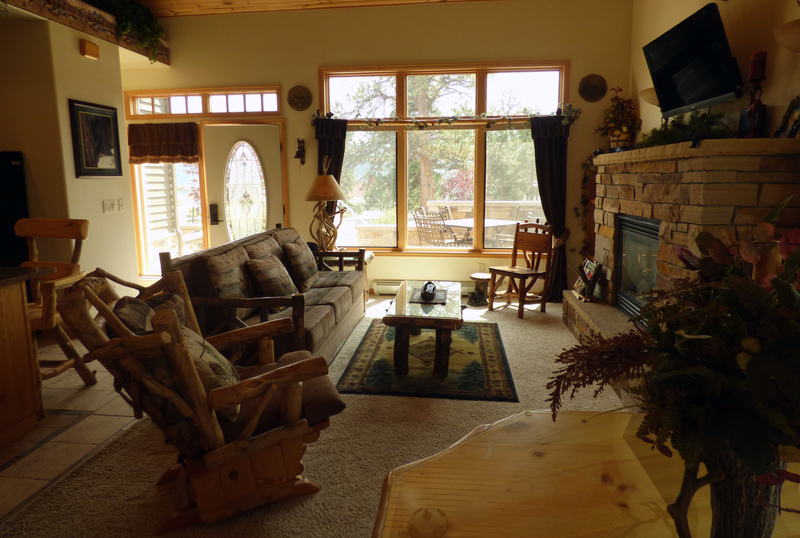 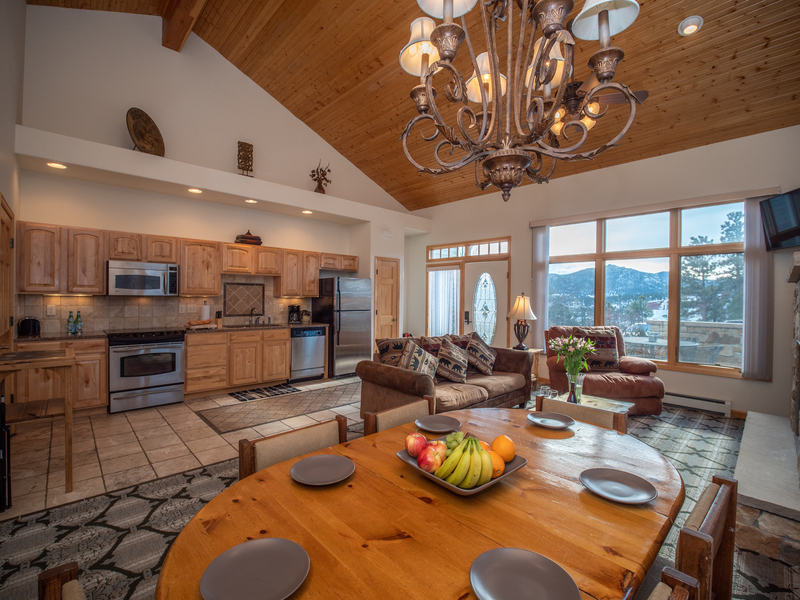 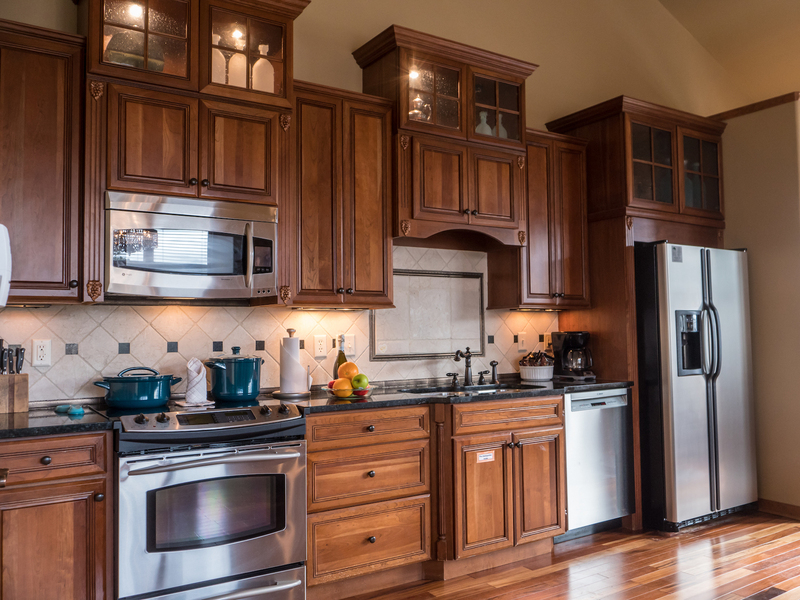 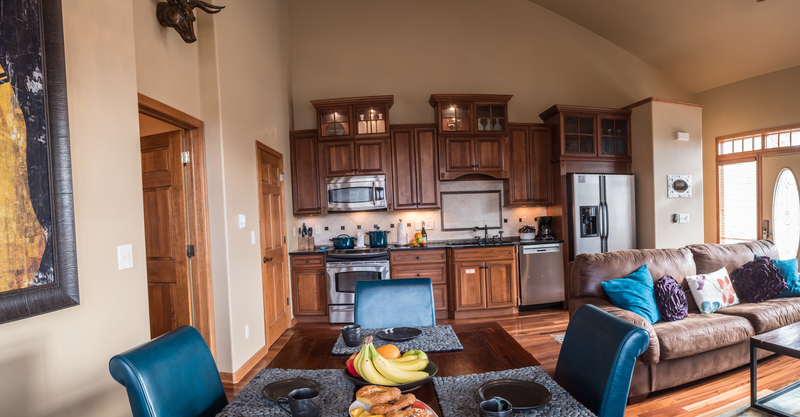 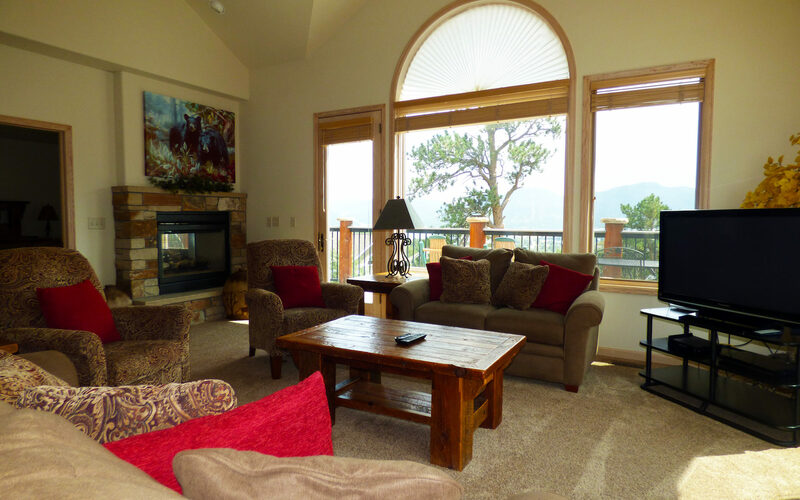 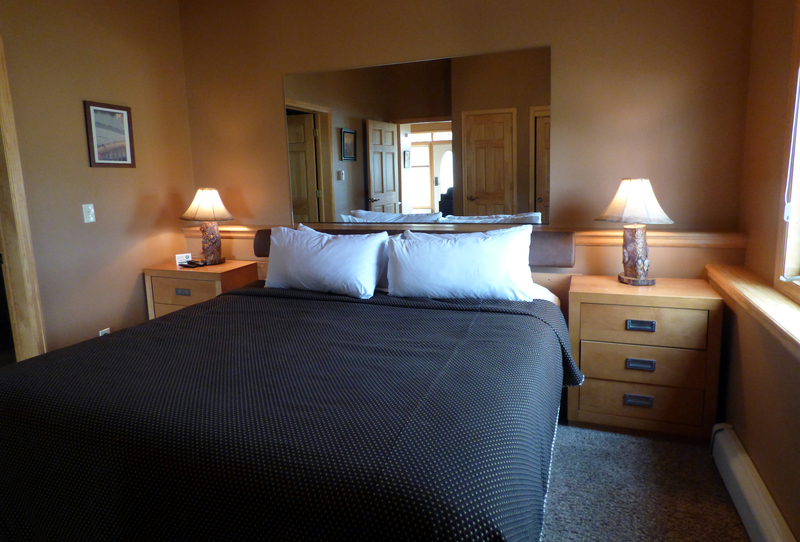 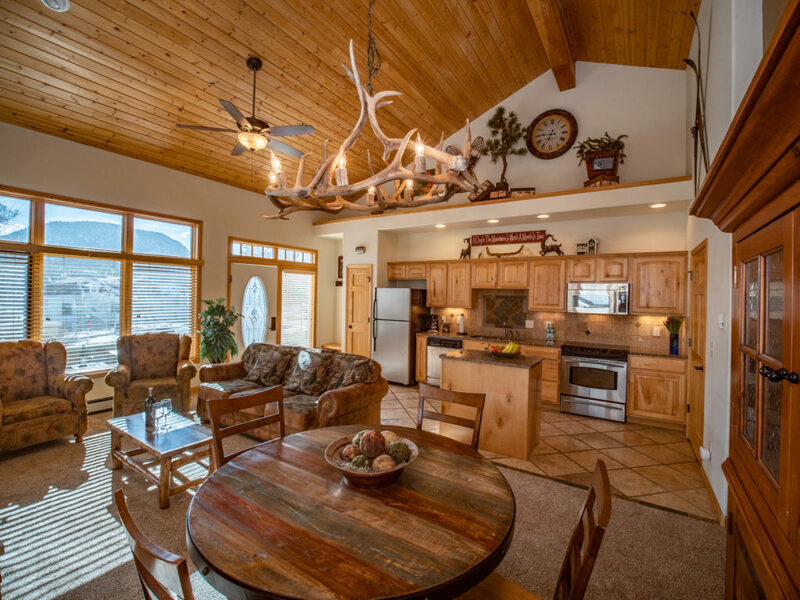 This unit provides spectacular views of the Historic Stanley Hotel, as well as the mountains and valley beyond. 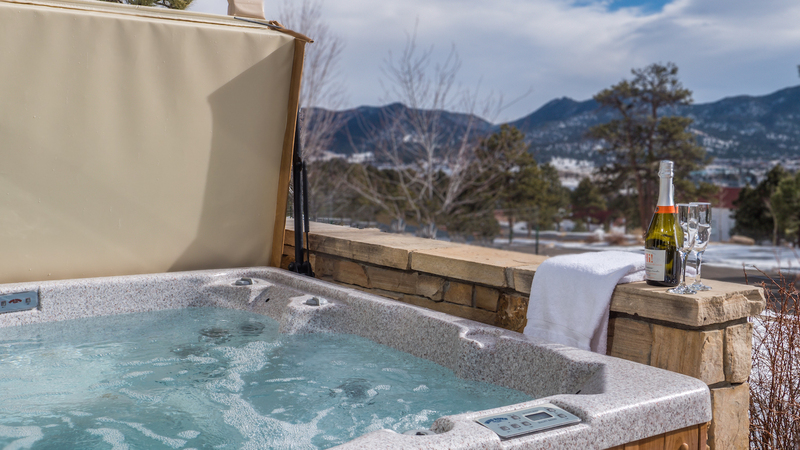 This contemporary end unit with a private outdoor hot tub is the perfect retreat for couples. 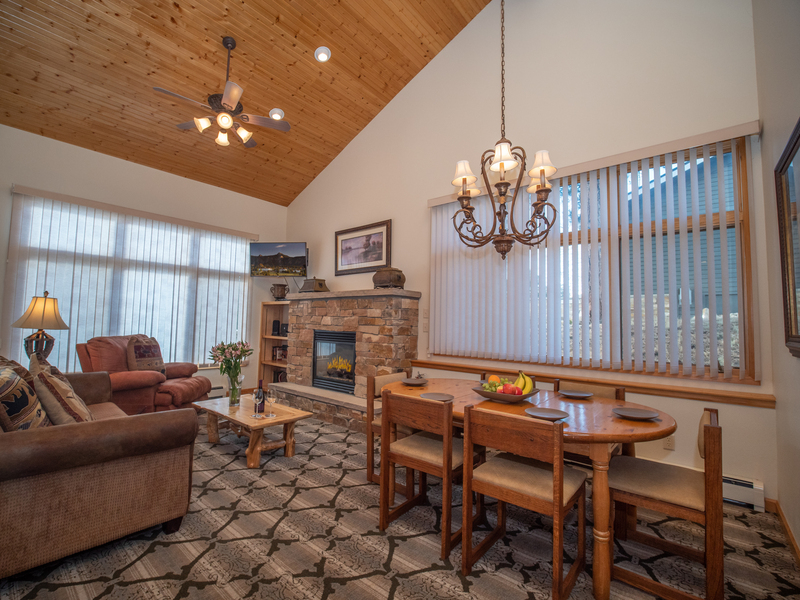 Beautiful light fittings give this comfortable condo charm and elegance. 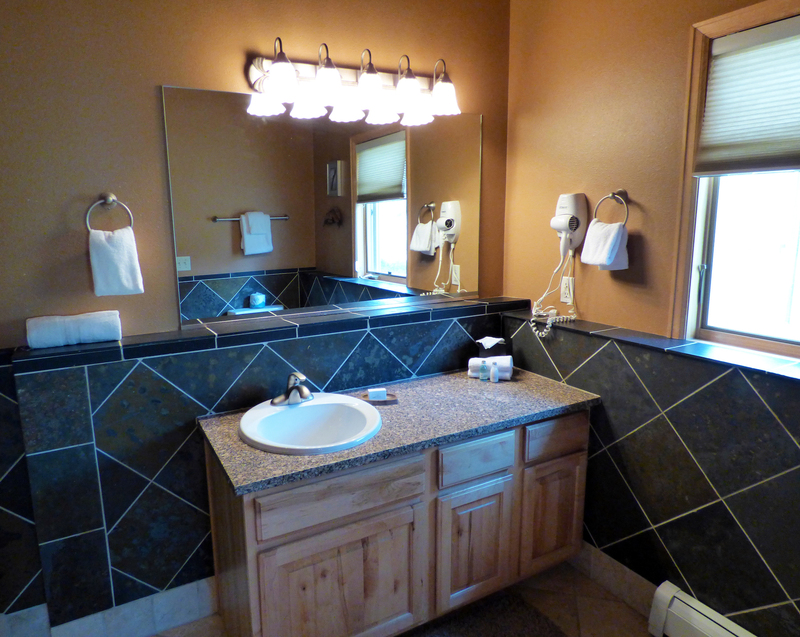 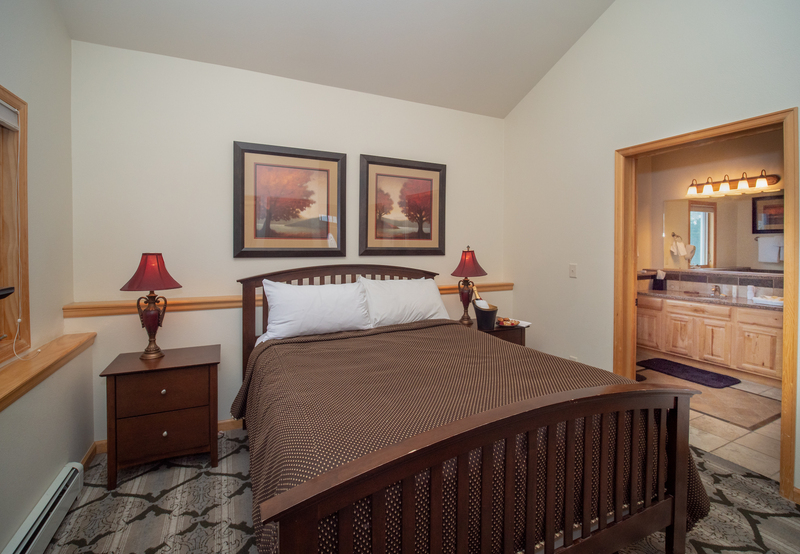 This comfortable, end unit is wheelchair accessible with easy access to parking. 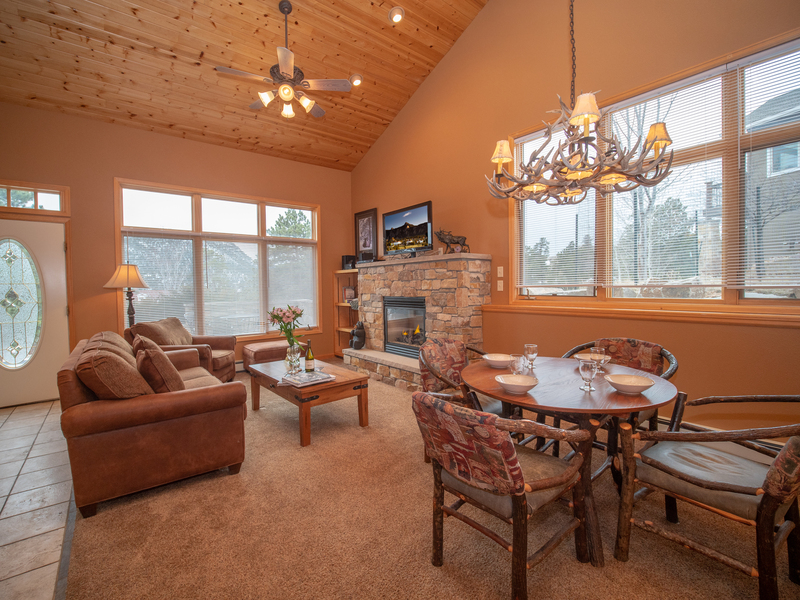 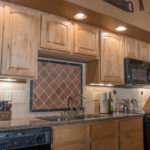 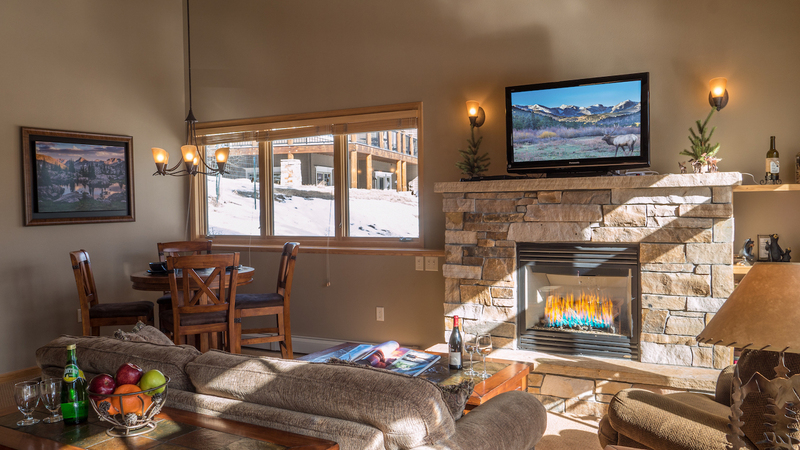 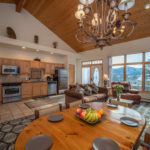 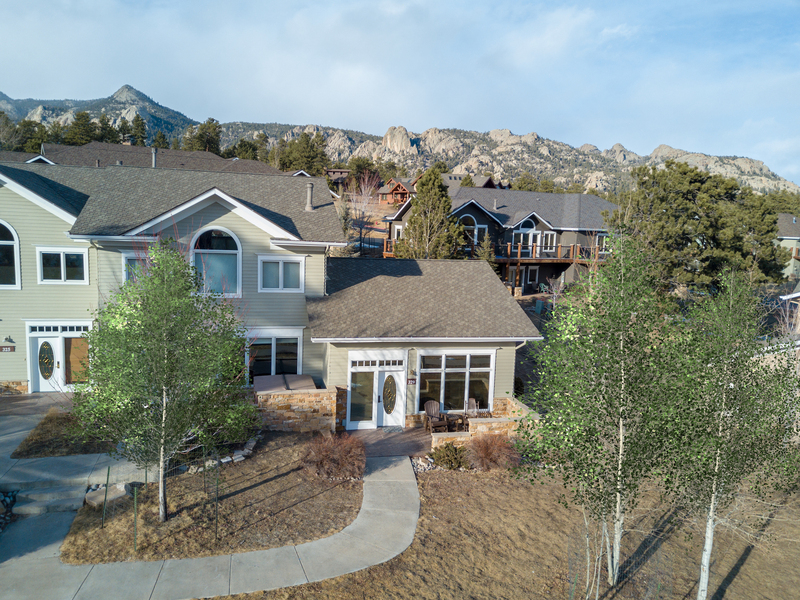 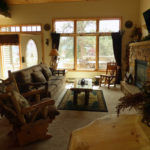 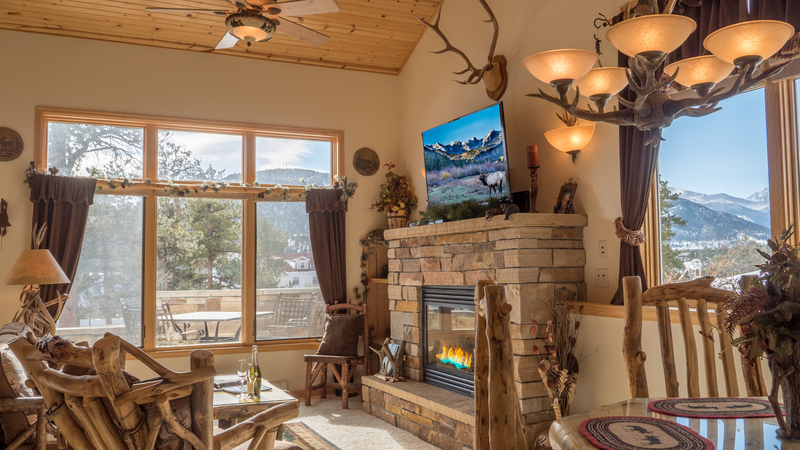 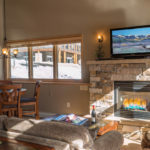 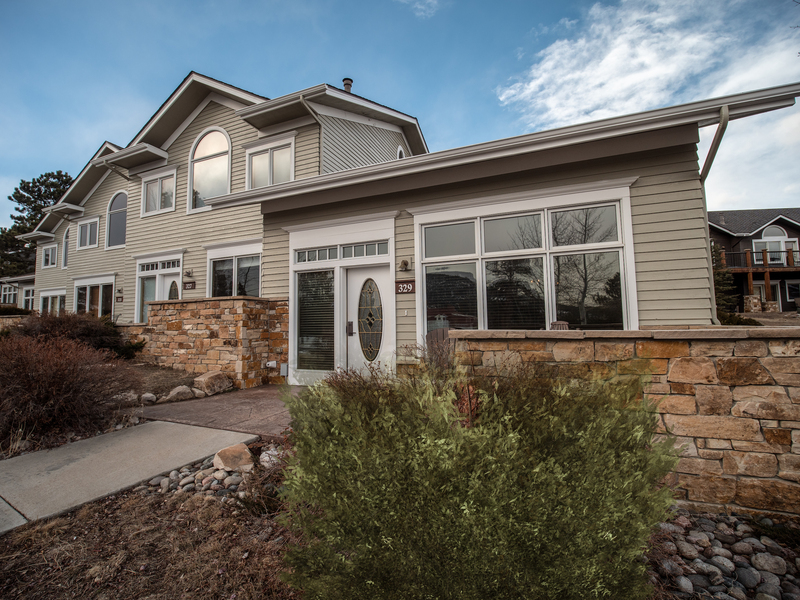 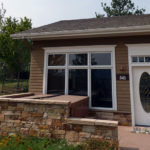 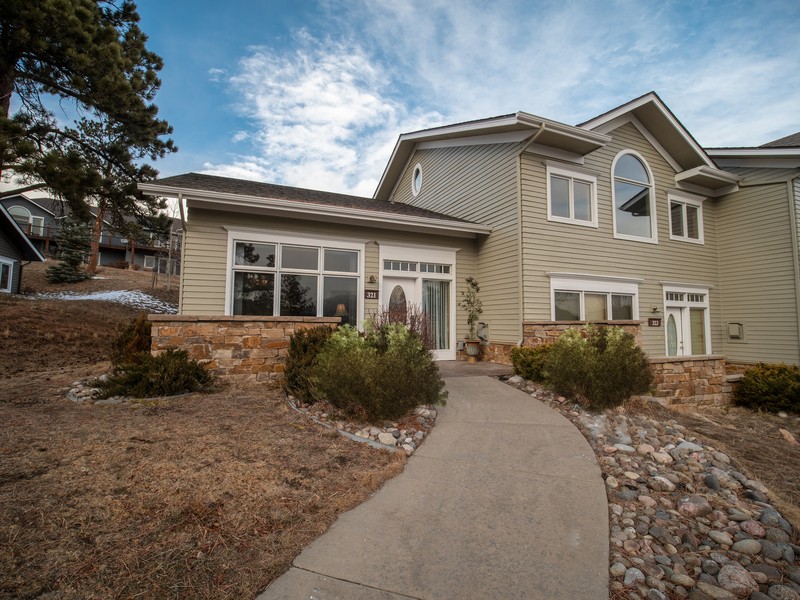 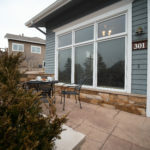 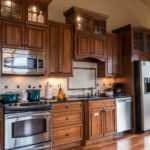 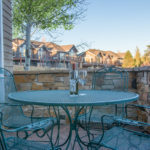 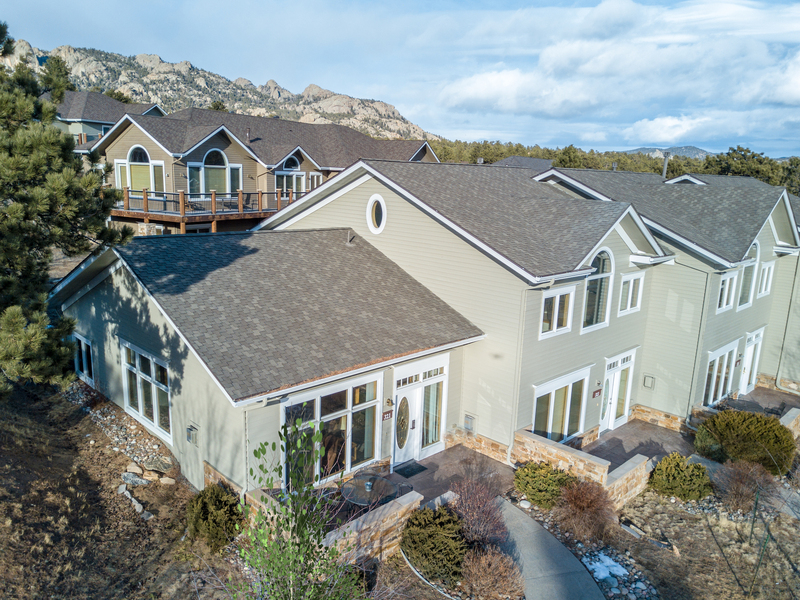 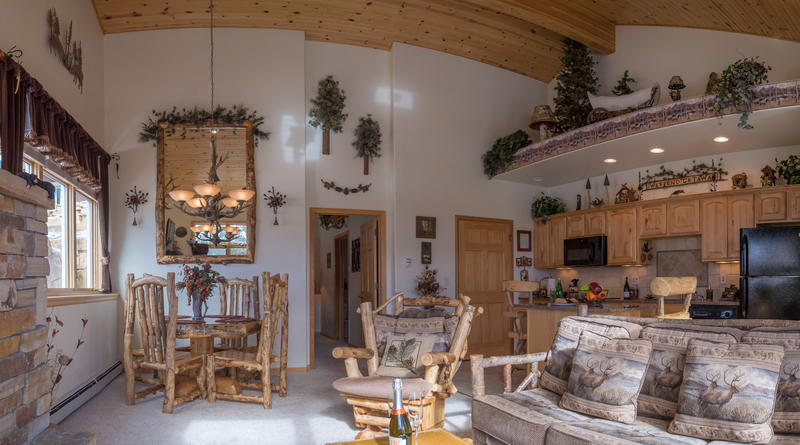 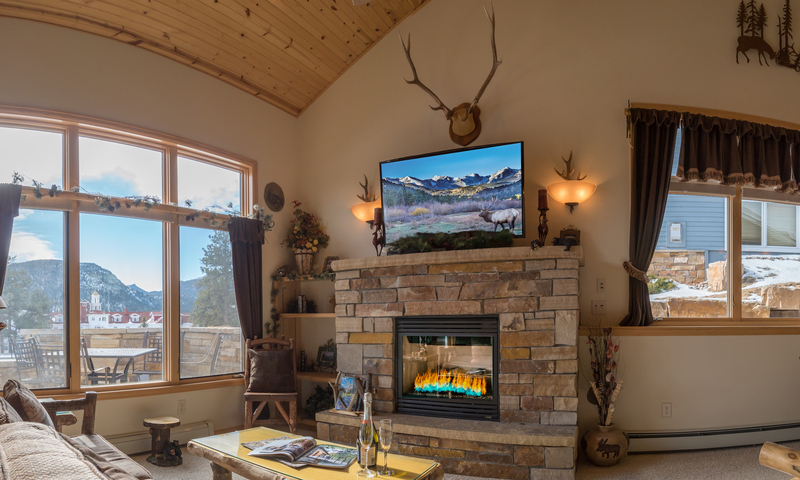 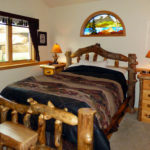 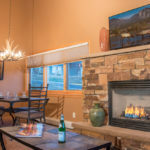 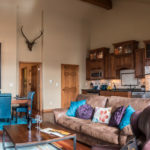 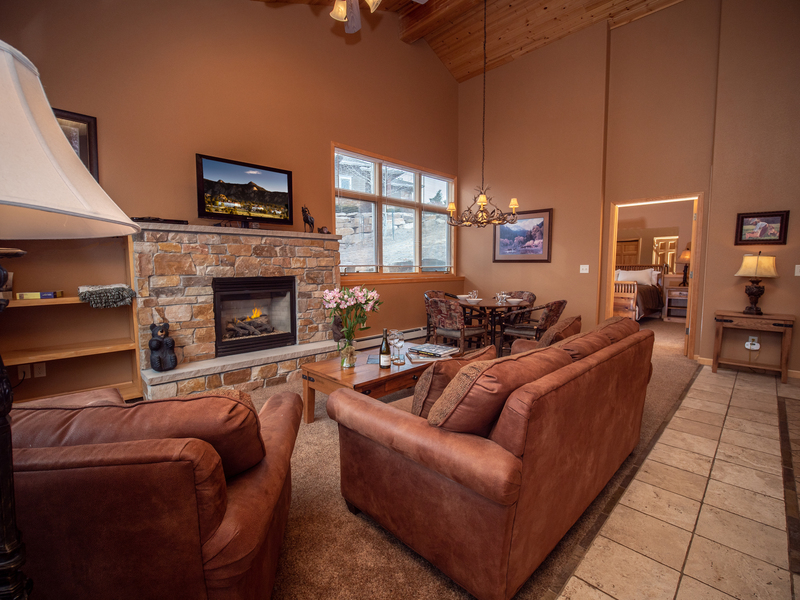 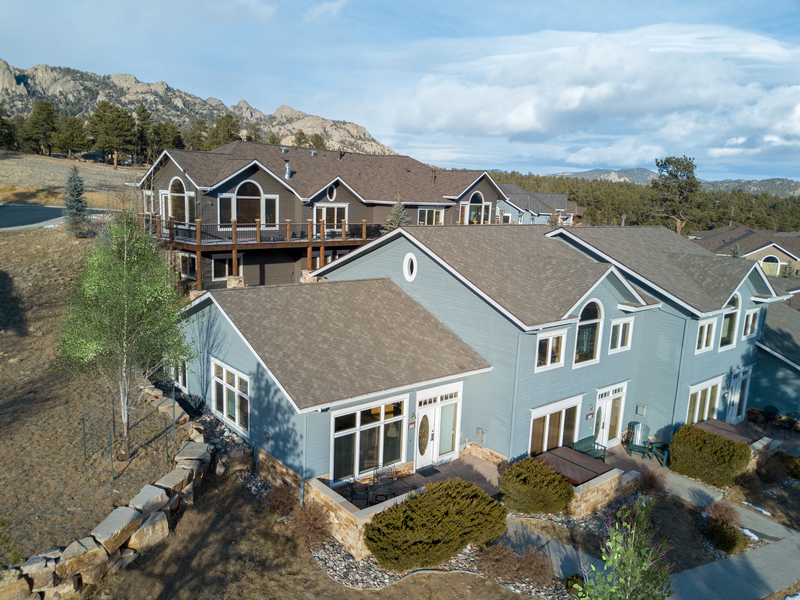 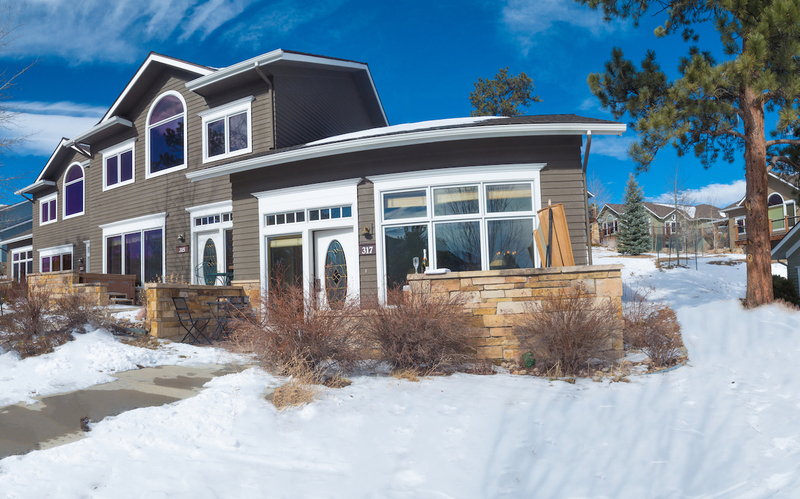 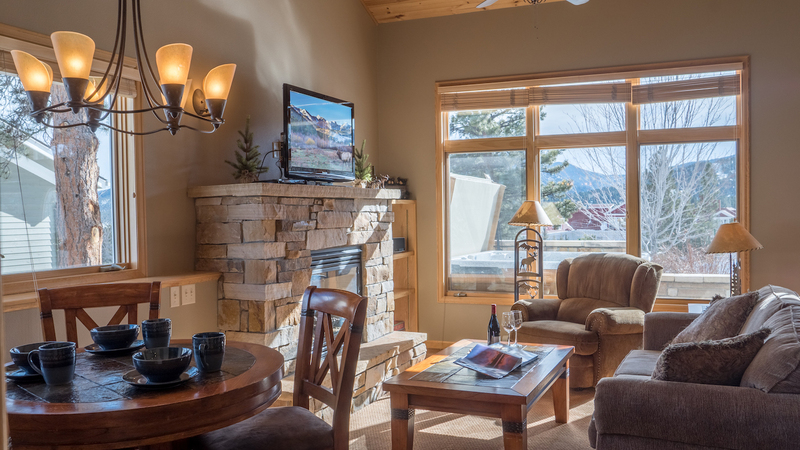 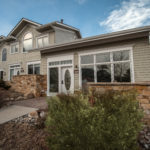 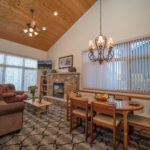 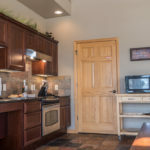 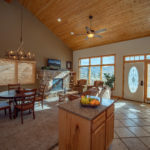 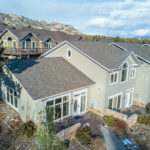 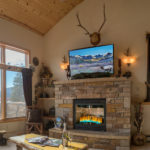 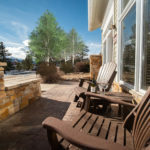 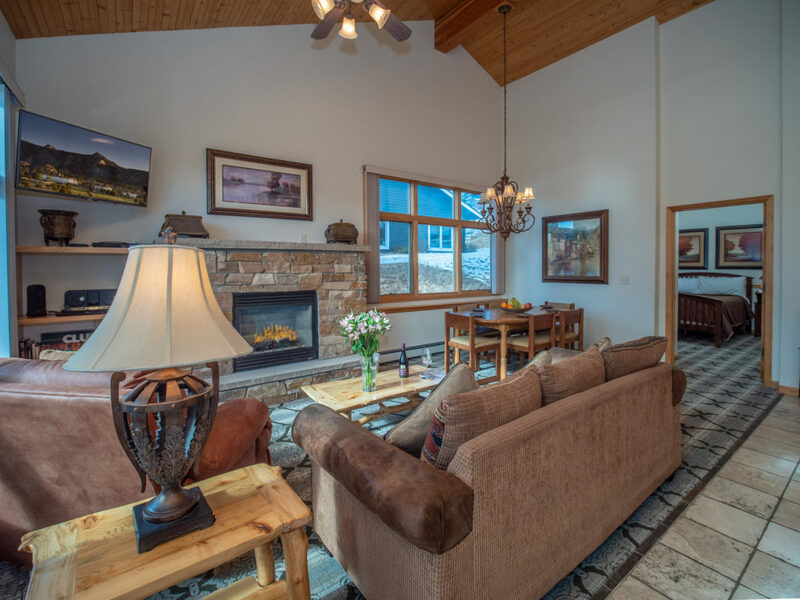 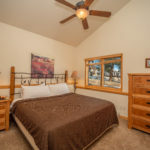 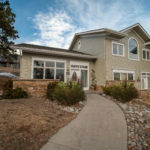 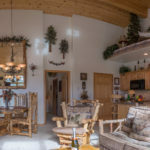 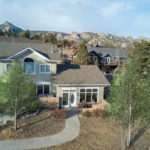 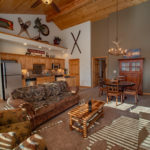 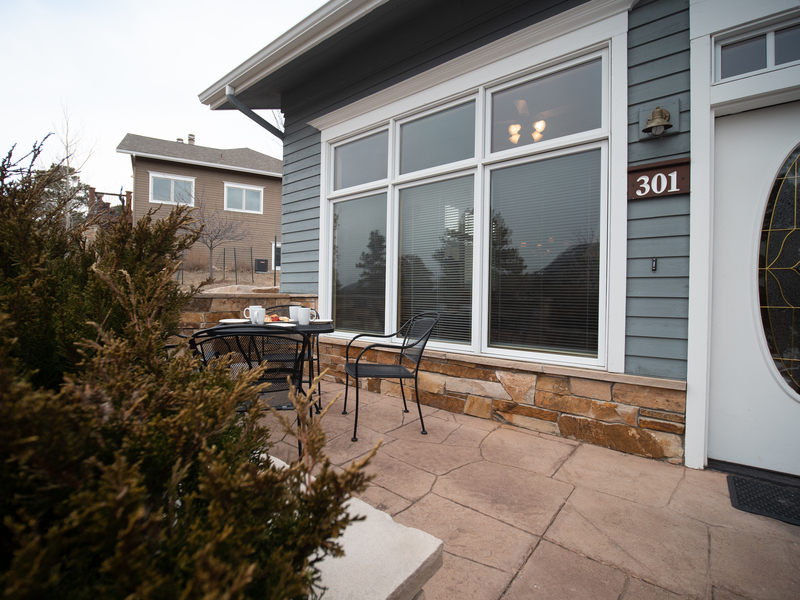 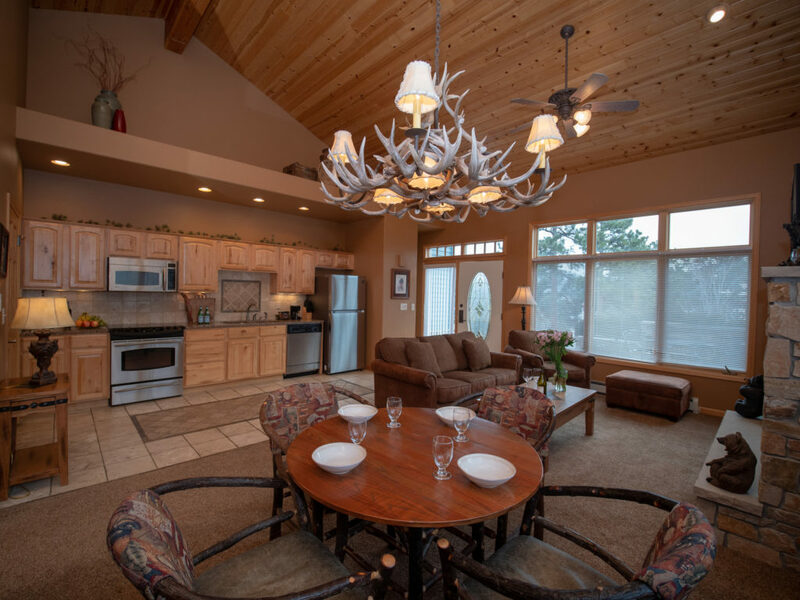 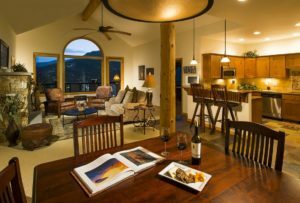 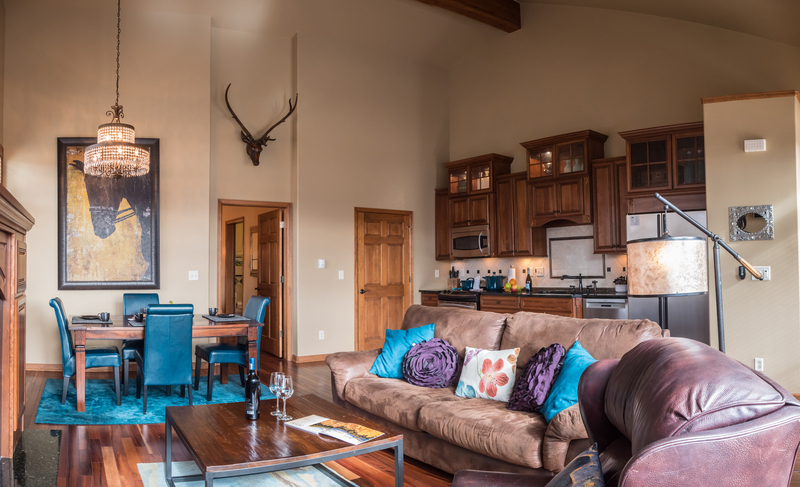 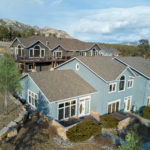 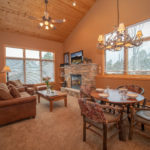 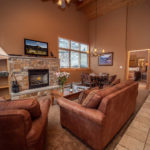 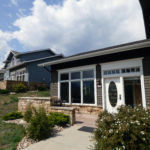 You’ll have clear views of the Rocky Mountains from the three large front windows and cozy fireplace seating, plus a full kitchen and dining area to enjoy meals. 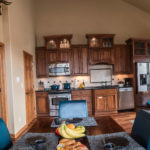 Get away from the hustle and bustle of city life in this beautiful, upscale condo that is the perfect combination of rustic and elegant. 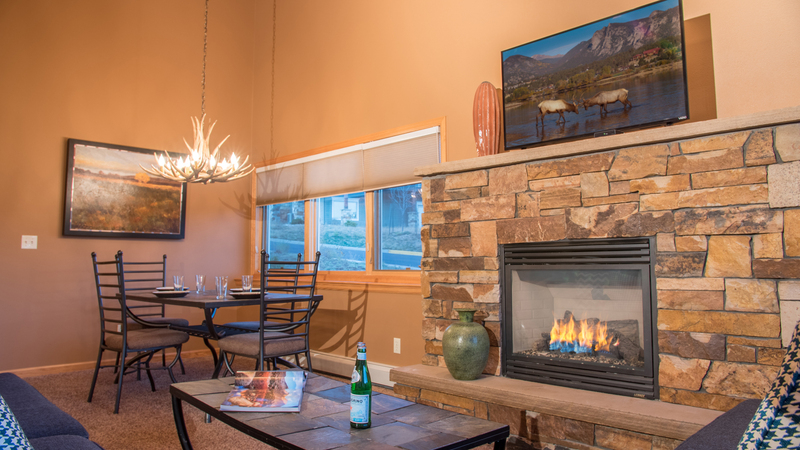 A spacious, mountain-chic, one-bedroom end unit featuring distinctive furnishings, original artwork, and a private front patio with views of the Stanley Hotel and Rocky Mountain National Park. 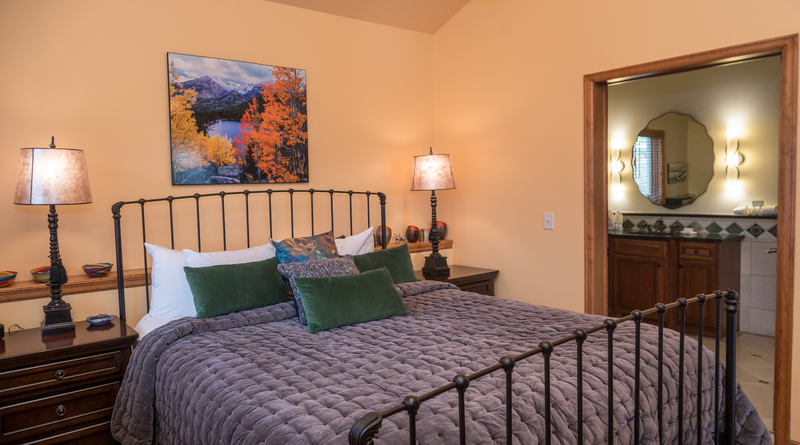 This lake-facing end unit is designed with relaxation in mind. 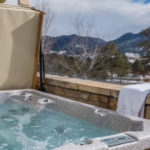 Enjoy spectacular views from the private patio, warm up by the fireplace, wash away the day in the oversized jetted bathtub, and drift off to sleep in a luxurious king bed. 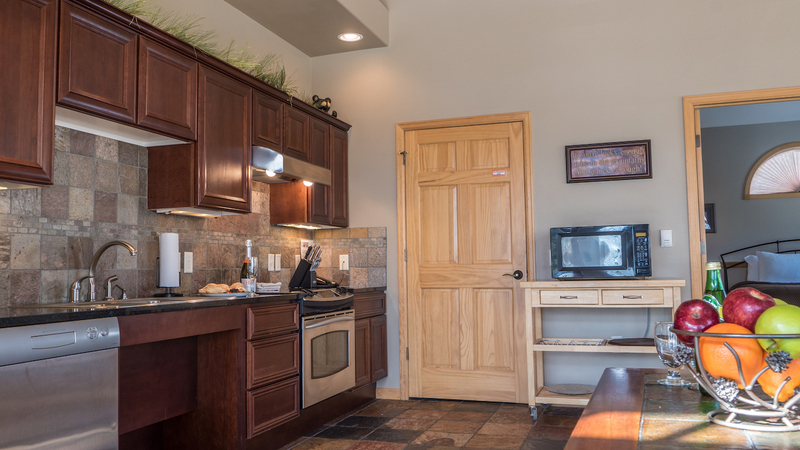 This wheelchair-accessible condo also features easy access to parking. 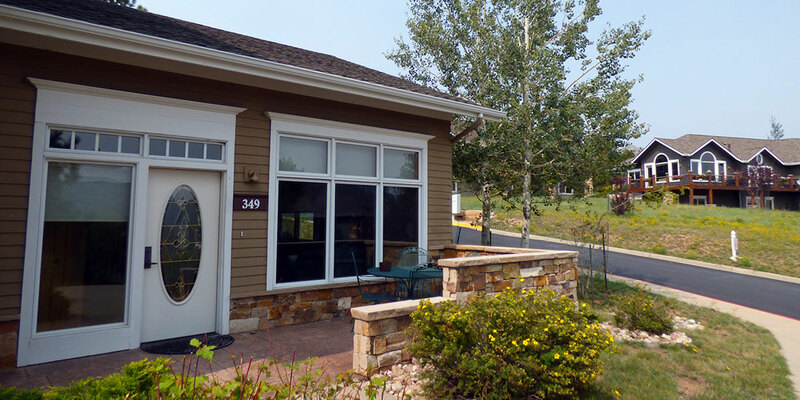 Enjoy this quaint and quiet one-bedroom, end-unit condo tucked away behind the Stanley Hotel. 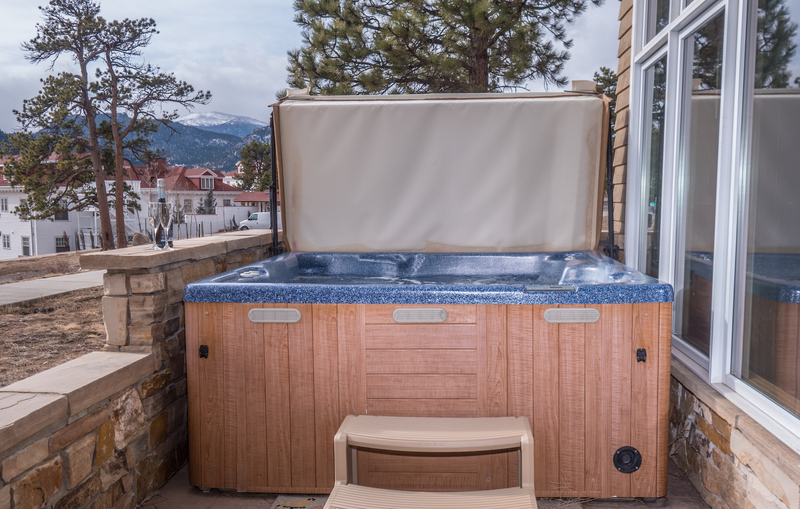 A cozy front patio, warm fireplace, and LED TVs await you, or kick back and relax in the oversized jetted bathtub. 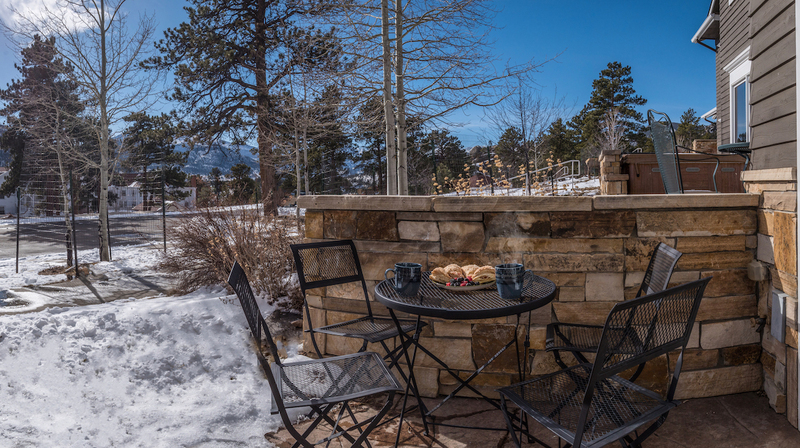 Views of Long’s Peak and Rocky Mountain National park are just out your front door.